Hoists from STAHL CraneSystems help with dismantling logistics at Philippsburg nuclear power plant. 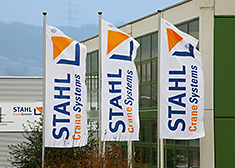 STAHL CraneSystems is both a worldwide manufacturer of hoists and crane components as well as a supplier of methodical engineering solutions. More than 140 years old, the company is a global leader in explosion-proof crane technology and offers one of the widest and fullest product portfolios available on the market. Our customers include crane builders, machine/system builders as well as planning companies and general contractors from around the world. The largest range of high-quality hoists and crane components worldwide in standard, custom and explosion-proof design. The complete product range is a­vail­­able in explosion-proof design according to ATEX and IECEx. Sophisticated technology for standard, custom and explosion-proof cranes and systems building. Worldwide planning, organisation and realisation of hoisting and crane technology projects for EPC contractors. Products from STAHL CraneSystems are used around the world daily in all industries. Do you still have any questions? Here you can find the right contact or a crane manufacturer and system builder near you. Working together. With a turbulent past and a bright future. Find out more about STAHL CraneSystems! 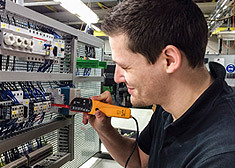 STAHL CraneSystems is a successful and innovative company steeped in tradition and competence. Break new ground, discover new perspectives: on your way into the future! 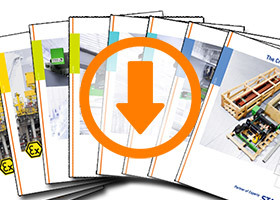 Our latest brochures, product information and customer magazines as downloads.